Edward R. McNicholas, a co-leader of Sidley’s Privacy and Cybersecurity practice, represents technologically-sophisticated clients facing complex cybersecurity, information technology, and privacy issues. 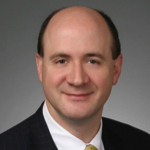 Recognized by the National Law Journal as a “Cybersecurity & Data Privacy Trailblazer,” Ed spearheads Sidley’s cybercrime focus and has significant experience with investigations and class action litigation related to cybersecurity incidents, as well as enforcement actions by the FTC, state Attorneys General, the SEC, OCR, Data Protection Authorities and other government agencies. His counseling practice focuses on privacy, cybersecurity, data protection and includes other technology law areas such as electronic surveillance, cloud computing, the Internet of Things, trade secrets, online advertising, social media, and big data/data science. Ed is frequently recognized as a leader in his field. He has been commended by The Legal 500 US for his “deep knowledge of privacy and information security,” and was named in a Computerworld survey of “Best Privacy Advisers” as one of the “Top 25 Privacy Experts” in the country and has been included in The International Who’s Who of Internet, e-Commerce & Data Protection Lawyers since 2011. Chambers USA has included Ed in its rankings of the country’s Leading Lawyers since 2008 and notes that he “impresses sources with his outstanding knowledge and responsive service . . . handling complex privacy matters in his trial and appellate practice.” The 2015 edition of Chambers USArecognized Ed as a lawyer who “can help you to put any issue quickly into context” and who has substantial experience in investigations and contentious matters. Chambers Global has recognized the global reach of Ed’s data protection practice since 2011. Chambers also has commended Ed in its nationwide litigation rankings for e-discovery. Most recently, in 2016, the Washingtonian named Ed in its inaugural listing of best Cybersecurity lawyers, and the Cybersecurity Docket included Ed on its inaugural “Incident Response 30” list of the nation’s best cybersecurity and data breach response lawyers. Investigating recent data breaches for the independent Special Cybersecurity Review Committee of the Yahoo! Board of Directors. Representing the Internet Cross-Community Working Groups with respect the historic transition of the Internet domain name system to private governance by the ICANN multistakeholder community. Representing major retailers experiencing congressional, litigation, and investigative challenges after cybersecurity attacks including in Whalen v. Michaels Stores Inc., No. 16-260 (2nd Cir. 2016, E.D.N.Y 2016), Moyer v. Michaels Stores Inc., 2014 WL 3511500 (N.D. Ill. 2014), and Frank v. The Neiman Marcus Group, No. 1:14-cv-233 (E.D.N.Y. 2014). Assisting corporations with preparation for and responses to sophisticated cybersecurity incidents. Advising U.S. companies on EU cross-border data transfer and cloud computing issues. Helping insurance, automotive, and Internet companies formulate big data governance programs for systems that generate actionable insights and enhance customer choice while mitigating legal risk. Prior to joining Sidley, Ed served as an Associate Counsel to President Clinton. In that capacity, he advised senior White House staff regarding various Independent Counsel, congressional and grand jury investigations. Ed has developed unique experience representing clients in the midst of media-driven legal challenges. His crisis management skills are particularly useful in coordinating the swirl of complex litigation, congressional hearings, and federal and state investigations that can follow from major privacy and cybersecurity incidents.